Attire Bridal magazine is published and wholly owned by KD Media Publishing Ltd.
Attire Bridal is a B2B printed bridal fashion magazine title published and wholly owned by KD Media Publishing Ltd. The company is a major publisher and exhibition organiser currently employing more than 70 people. 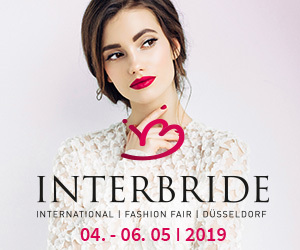 Attire Bridal has three sister trade titles, which are Attire Accessories, Craft Focus and Gift Focus all which are the leading titles in their respective industries and enjoying media partnerships with many leading exhibition organisers. The company's consumer wedding titles include a portfolio of 19 bi-monthly regional County Wedding Magazines covering much of England and Wales, providing engaged couples with all the inspiration and information they need to plan their weddings. These titles are on sale in retail outlets throughout the UK and available at many wedding shows throughout the year. Running alongside the company's successful print titles is County Wedding Events - organisers of wedding shows throughout England and South Wales. The shows are hosted at some of the country's premier venues, professionally run and meticulously planned and marketed to ensure a wide variety of suppliers and superb visitor attendence. Included in its exhibition portfolio are the company's own larger Signature events, held at prestigious venues and attracting couples over a wide area. Since 2013 the company has published a series of over 40 Christmas Party Guides. Each Guide is a must-have guide for party organisers to find a perfect Christmas party venue. All titles are supported by their own web sites along with active social media marketing.